b)High frequency feels round and bright,while intermediate frequency is full.The low frequency feels strong and the voice field seems wide.It looks powerful with an obvious gradation. c)It includes power switch and hyperbaric switch,which makes it more stable at work.When you use it,open the power switch first,and then the hyperbaric switch in 1 mintues.If you want to don't use it,turn off the hyperbaric switch first and then the power switch.However,you should wait for 5 minutes to restart the machine if you turn it off. d)Since 2000the machine was put on the market,it has been received by the experts,exhibitions,media and users and won three best awards.It is of high evaluation on the Internet and be thought as the standard vacuum AMP. 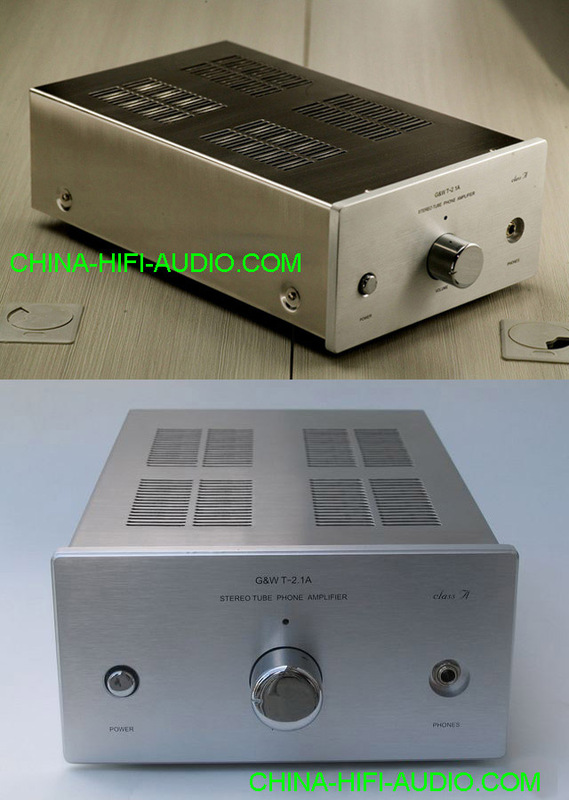 e)Meixing Factory achieves perfect quality and has upgraded the transformer and the key electronic component.Above all,it adopts the crosslinked capacitor called JENSEN,a famous international brand.And by using 805SE,the stability and the SNR as well as the tone quality had been improved. f)A remote controlled volume system is added to the machine,as well as the ALPS Potentiometer from Japan,and the the cover of handle is made by aluminum alloy.